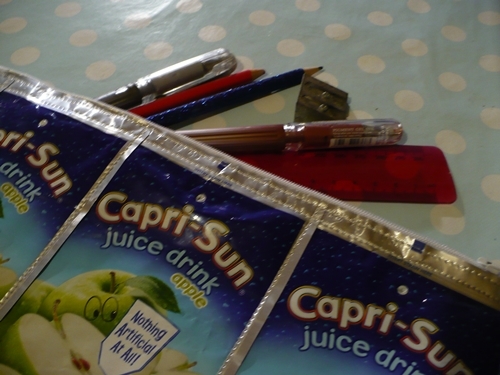 Aparently the coolest thing at the moment is pencil cases made of wierd recycled looking stuff. 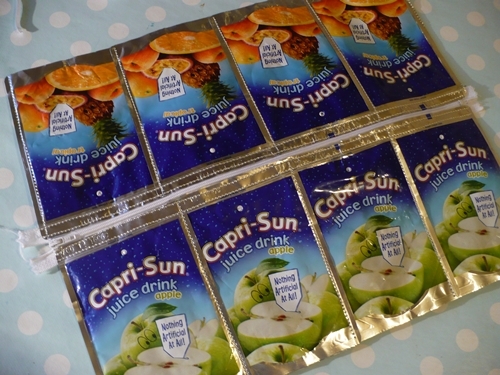 I’ve been saving a stack of capri sun pounches intending to make a shoulder bag. 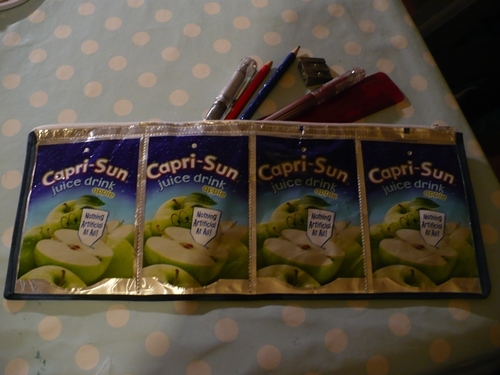 But I’ve sacrificed 8 to make a pencil case for a friends teenage daughter. 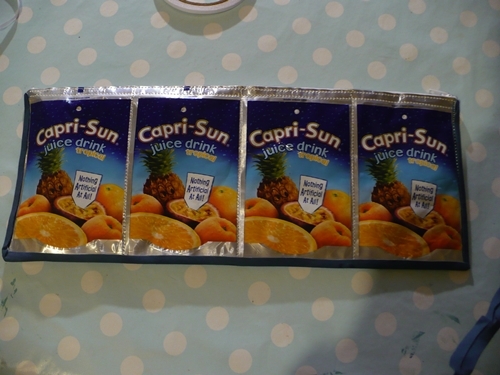 The whole thing only took me about an hour and a half, even working out how to do it as I went along. 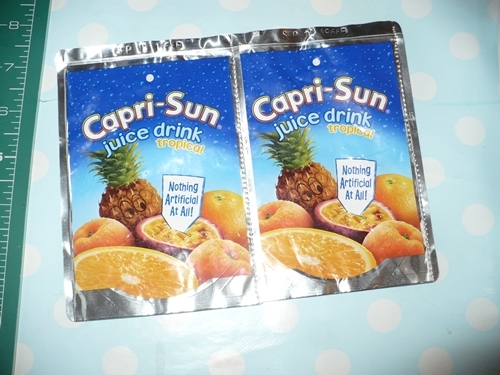 Sew the first two packets together. I did this by eye but you could use double sided tape to hold them together first. 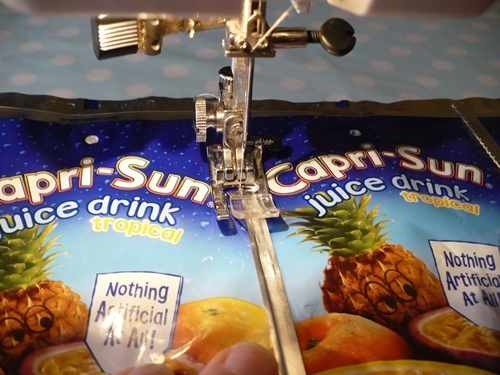 Be careful though, it makes the sewing machine needle so sticky you’ll have to throw it away afterwards! 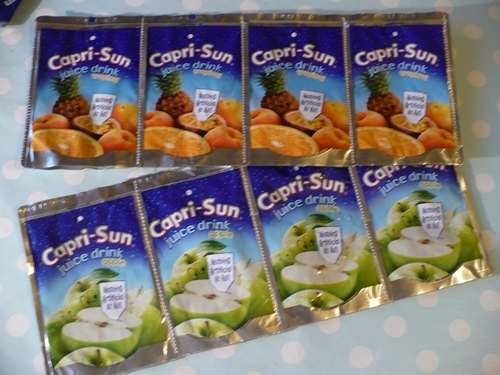 Keep adding packets until you have sewn one side together, repeat with the other side. The next step is the zip. Here’s where I gave in and got the double sided tape out! 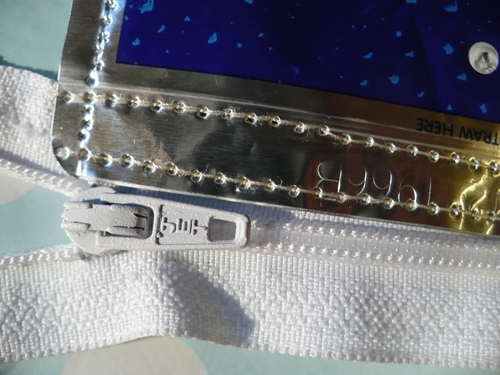 Apply double sided tape along the zip. 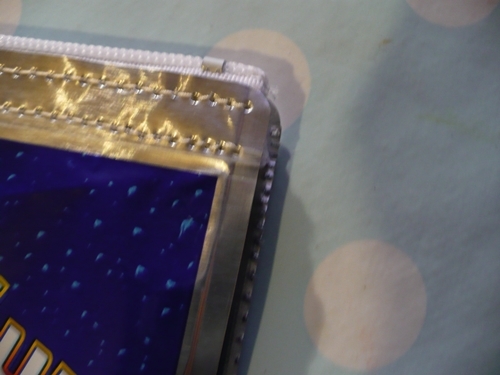 Attach one side to the tape, close up against the zip and stitch it in place. You should probably use a zipper foot for this. 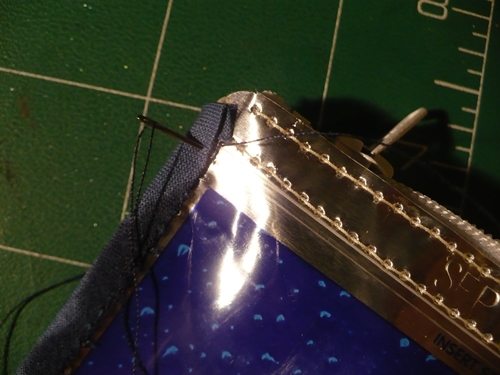 Run a second line of stitching to make sure the zip is secure. 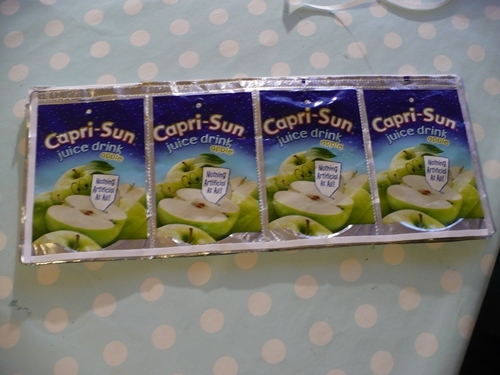 The next step is to make up the pencil case. NOTE: It might be an idea to stitch both halves together first. 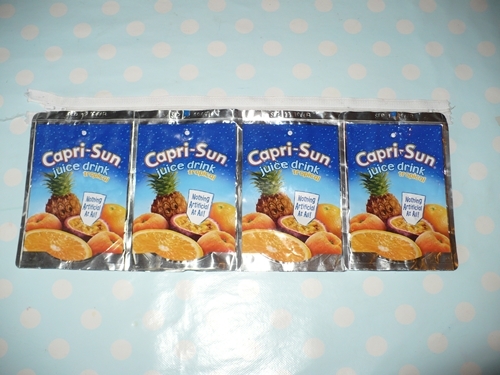 (I didn’t so don’t have photo to show you how.) It might help hold it all together as it was quite tricky to sew. Tuck the ends of the zip on. 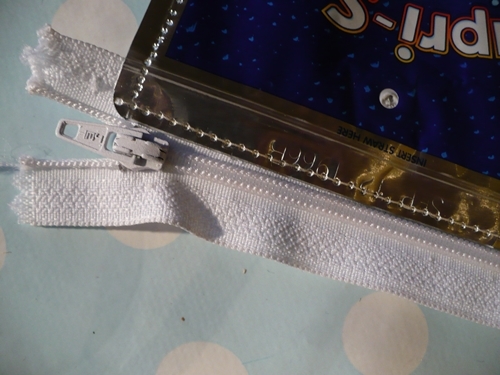 You need to use double sided tape to fix the binding around the pencil case. 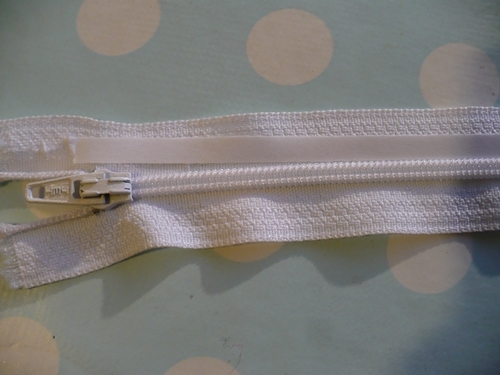 Sew the binding on, when you get to the end use a hand sewing needle to thread the ends inside before tying them off.